This is a well put together book with some previously unpublished material which includes photos of Coal, Lead, Copper and Barytes mines. It includes over 200 photos of surface and underground scenes including a colour photo of the destroyed Halvens Engine House at Snailbeach on the cover. Also included are a small number of the late Malcolm Newton's skilful pen and ink drawings to whom Ivor offers a dedication. 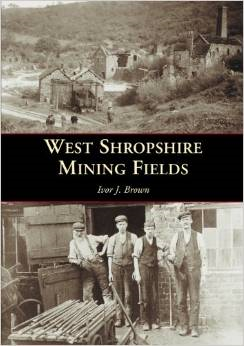 Many of the photos have been provided by the Shropshire Caving and Mining Club and the Shropshire Mines Trust. As ever Ivor produces very informative and well written text which is cross referenced and can be also be used as a useful guide to this part of the County. Page 2 includes a picture of a slim and very young version of yours truly so I therefore have a bias in promoting this book!